The basic model of a black hole can be summed up as follows: gravity wins. The root cause of all black holes—be they tiny primordial black holes, solar mass black holes, or supermassive galactic black holes—is gravity. Squeeze enough mass into a small enough volume and gravity does the rest. The problem (at least according to general relativity) is that gravity does its job too well. 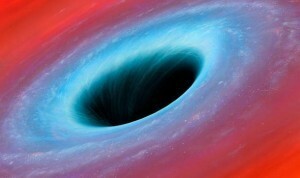 Once matter enters a black hole, it simply cannot resist the pull of gravity. 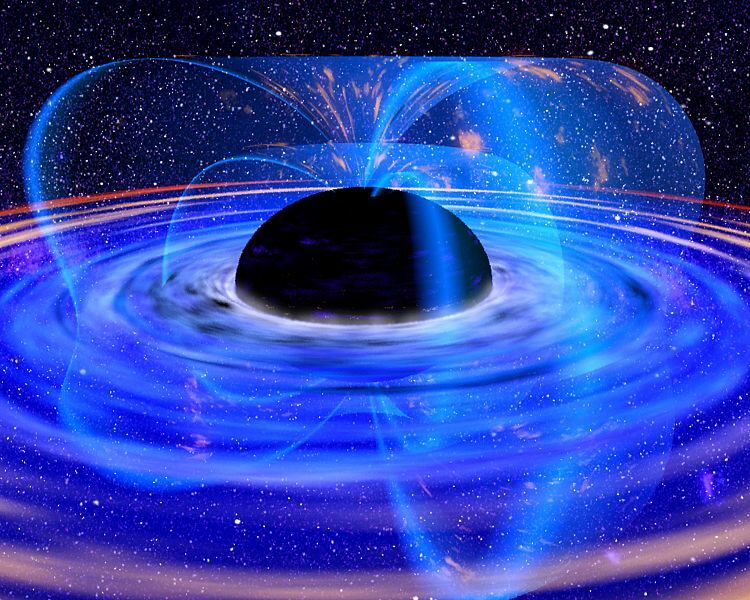 As a result all the matter within a black hole is squeezed down to a point of zero volume and infinite density, known as a singularity. 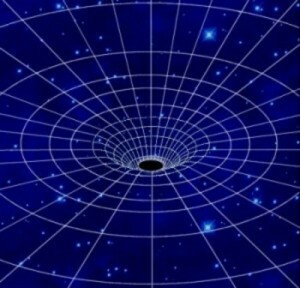 Black hole singularities have long been the bugaboo of gravitational physics. They cause several problems, not the least of which is that the laws of physics as we understand them break down near the singularity. As a result there has been a lot of research on trying to eliminate singularities from our theoretical models. One way to get around singularities is by simply ignoring them. 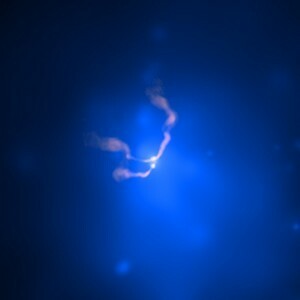 When black holes form, they become enclosed by an event horizon. A black hole’s event horizon is a kind of cosmic roach motel. Matter and energy can fall into a black hole, but anything that crosses the event horizon is forever stuck inside. Since the singularity always resides within the event horizon, we can never observe it from the outside. The singularity remains safely hidden from view. Roger Penrose even went so far as to propose the cosmic censorship hypothesis, which argues that every singularity must be enclosed by an event horizon, which hides it from the universe. But this hypothesis has never been proven in general, and several theoretical counter-examples (known as naked singularities) have been found. It would seem then that simply hiding singularities doesn’t solve the problem. Another approach to the problem is to find a mechanism by which the singularity never forms in the first place. Most of the effort in this area has been to find patchwork solutions to Einstein’s equations for general relativity. That is, patch together a black hole solution outside the event horizon (the exterior solution) with a non-singular solution inside the event horizon (the interior solution). By mathematically sewing the two solutions together, one gets a non-singular black hole. These solutions demonstrate that non-singular black holes are theoretically possible, but they say nothing about how such a black hole might form. Recently, however, Mbonye and Kazanas have found an exact solution to Einstein’s equations which contains no central singularity. Mbonye and Kazanas arrived at their solution by assuming a black hole contains exotic matter. Exotic matter is a theoretical material which has a negative energy density instead of the usual positive energy density. This negative energy density means that exotic matter can hold its own against gravity. When ordinary matter is squeezed by gravity, its energy density goes up. This higher energy density means gravity squeezes even more strongly, which means an even higher energy density, and so on. It is this feedback loop which means that gravity wins in the end. The harder gravity squeezes, the harder it can squeeze, until all that remains is the singularity. But exotic matter works differently. When gravity squeezes on exotic matter, its energy density goes down. This means gravity can’t win no matter how hard it tries, and it is impossible to form a singularity. What Mbonye and Kazanas have shown is that exotic matter allows for the creation of non-singular black holes. Mbonye and Kazanas don’t specify what this exotic matter is, but their formulation implies one possible candidate: dark energy. We don’t know what dark energy is, but we do know two things: it cannot be regular matter, and it has a negative energy density. Mbonye and Kazanas haven’t proven that their exotic matter is dark energy, but their work points to the idea that maybe, just maybe, one of newest mysteries of gravitational astrophysics might just solve one of the oldest ones. Just to let you know: I broke my hip about three weeks ago and have been in the hospital with free Wi-Fi 24/7. But am going home tomorrow where I don’t have an internet connection, and won’t until I can drive again. That may be as much as another three weeks. So won’t be able to view and share your posts for a while. Will try to catch up later. Sorry to hear about your hip, Jim. Hope you recover quickly. The posts will be here waiting for you.